Explanatory style affects a person' s mental and physical health in important ways (see Peterson & Sel igman, 1 984a) . Although these effects are well documented, we know little about the origins of individual differences in explanatory style. What makes one person optimistic and another person pessimistic? In this chapter, I explore answers to this question. 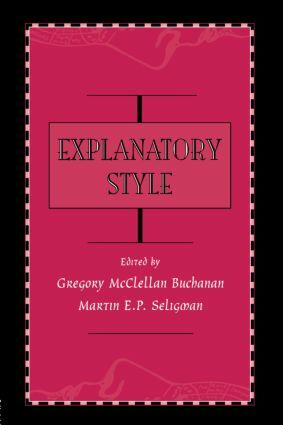 I first review previous work examining the determinants of explanatory style. Next, I propose that trust of intimate others also affects the development of individual differences in explanatory style. Fi­ nally, I report a study that tests the impact of trust on explanatory style.